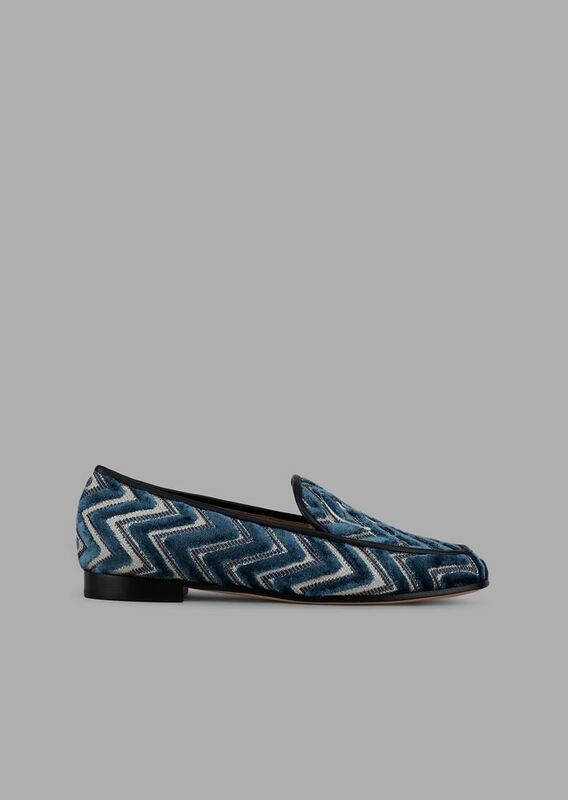 Simple lines acquire character and become iconic thanks to the combination of velvet with the chevron design. 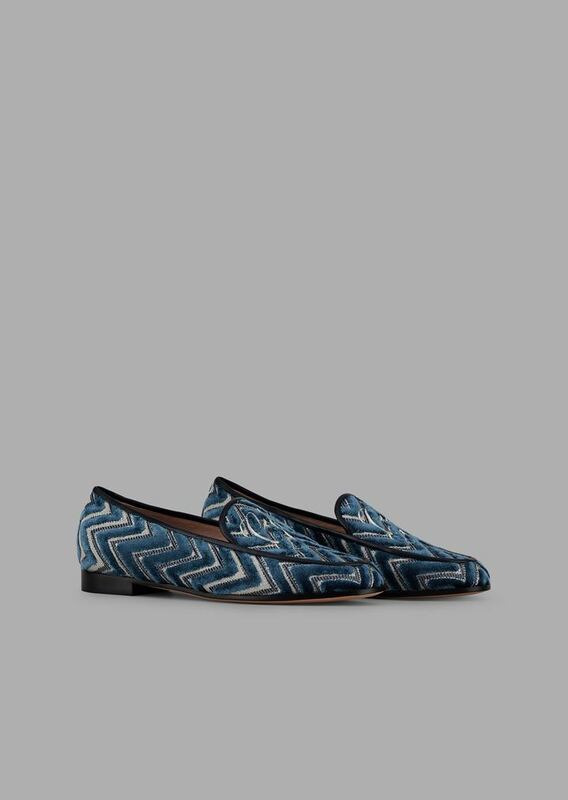 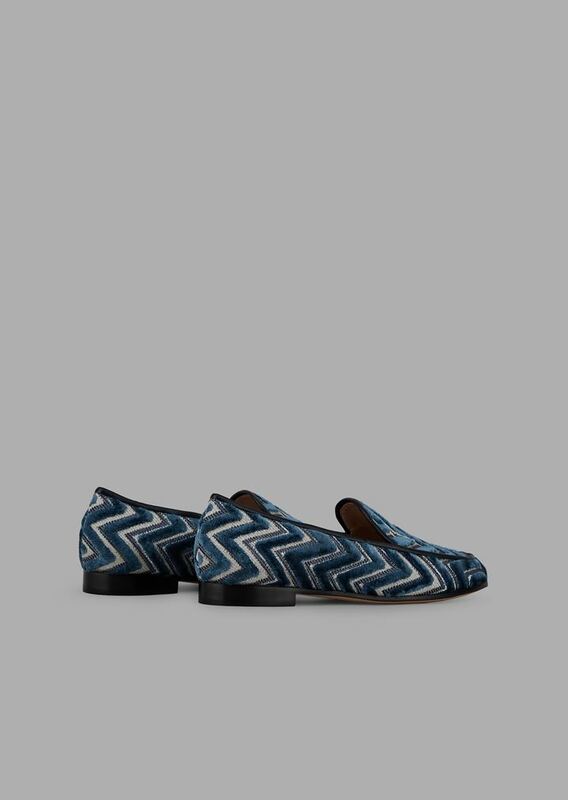 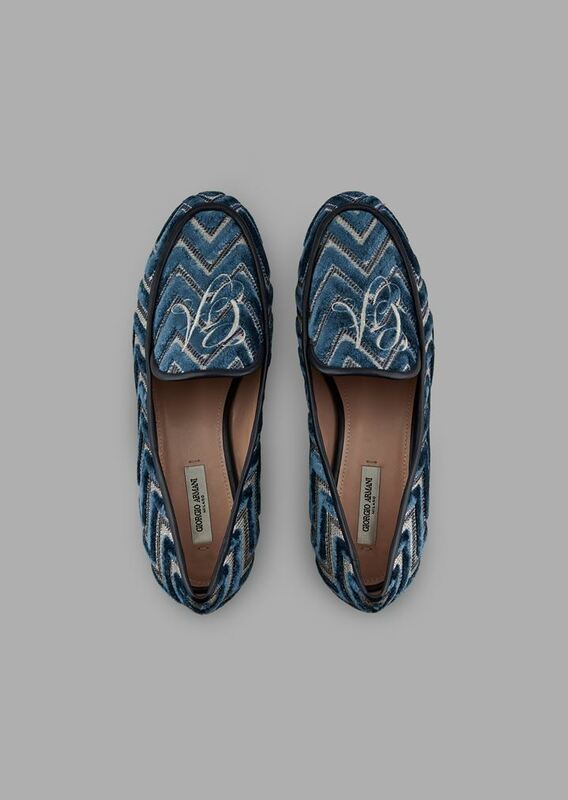 These ballet flats are distinguished by an attractive alternation of light and dark produced by a technique that creates a sophisticated yet dynamic motif. 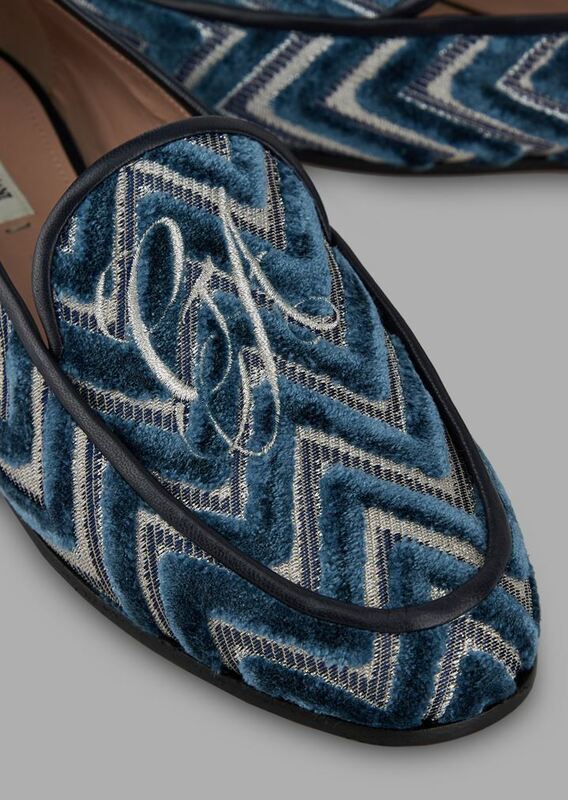 A uniquely elegant style that enhances the whole look highlighted by the logo embroidered on the toe.